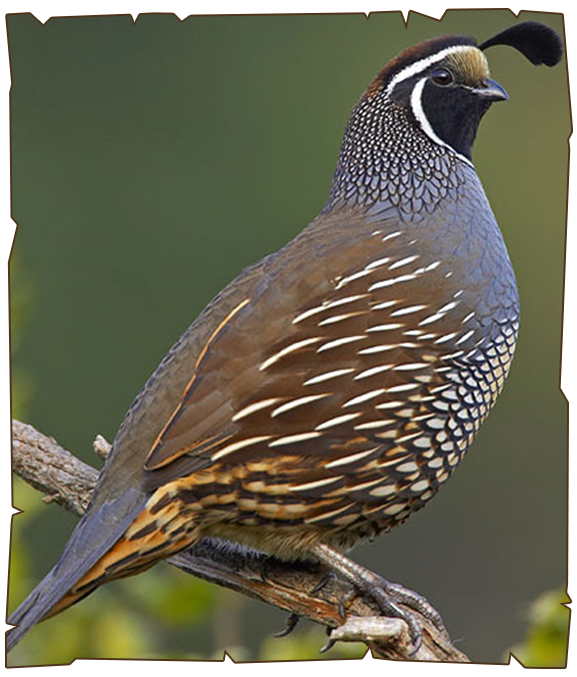 The California is a plump, short-tailed quail with gray and brown plumage; a prominent teardrop-shaped head plume or double plume is present in both sexes. They are commonly forund year-round in open woodlands and brushy foothills, usually near permanent water sources. It has adapted well to urban development where sufficient cover is provided. This species has been introduced locally within the general boundaries of the mapped range, including Utah. Successful introductions have been made in Hawaii, Argentina, Chile, and New Zealand.